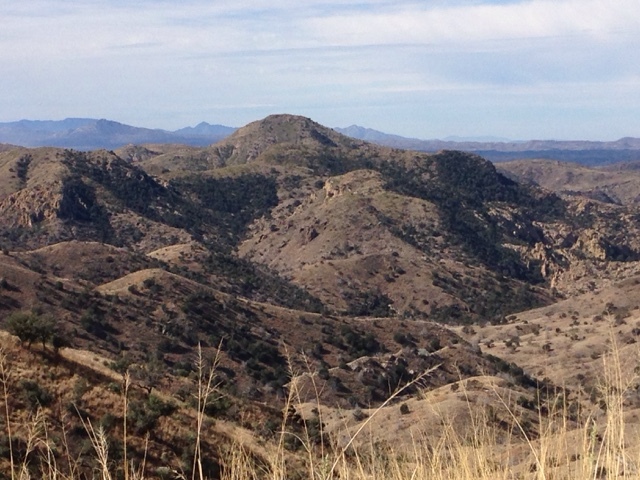 I decided to explore some of the border area of Arazona near Mexico. 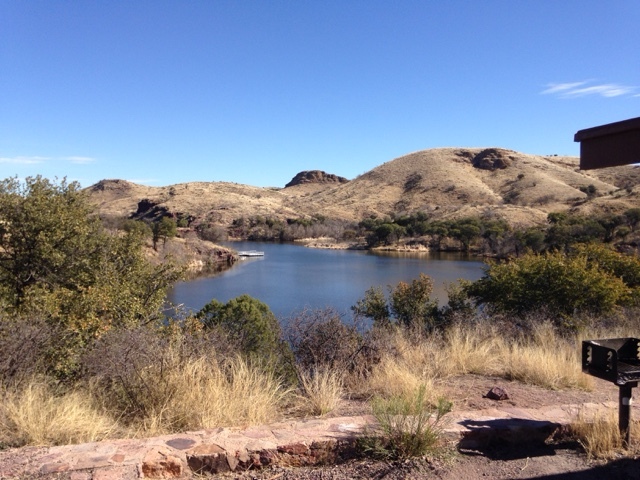 Last year I had taken the easterly route from Nogales, AZ to Bisbee, AZ as a tour. 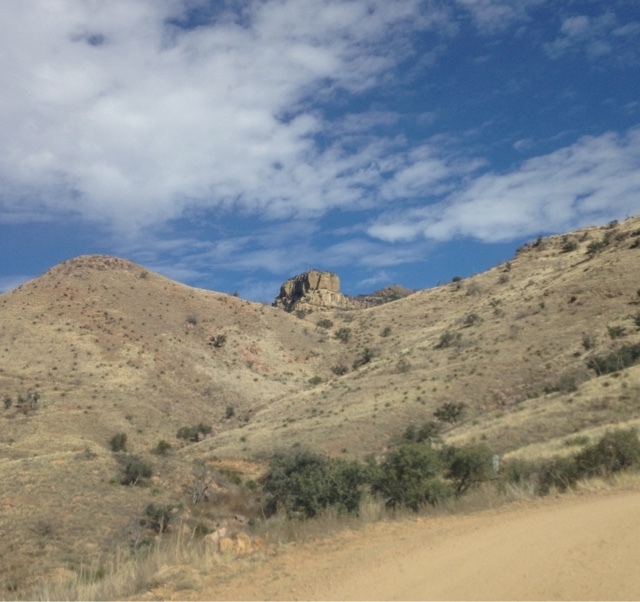 This year I studied the map and found Ruby Road to the west from Nogales. I looked up Ruby Road and found it was a scenic road and that it was somewhat dangerous and dirt after the first 9 miles. If you would like more information about Ruby Road the link above may be of interest. As I headed out I wondered if I could make it all the way through to Arivarcas with the Prius. 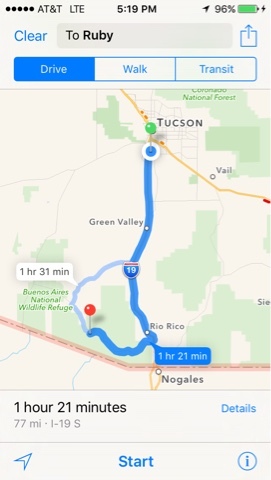 The first leg of the trip took me down I19 from Tucson to the exit for Forest Service road #289. 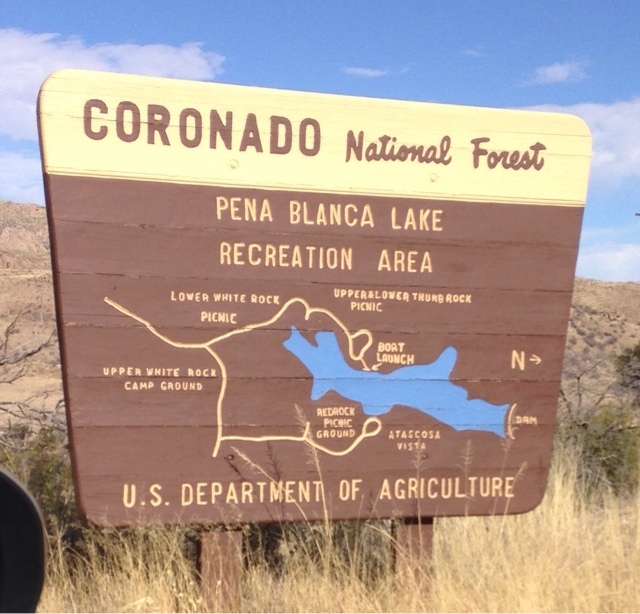 This 9 miles of tar took me to Pena Blanca Lake. The road was a good rated secondary road. That ends at the National Forest lake. The area was nice with things like these ramada's in the picnic area. There was trash around from what appeared to be lack of maintenance. The lake is accessible for boating too. 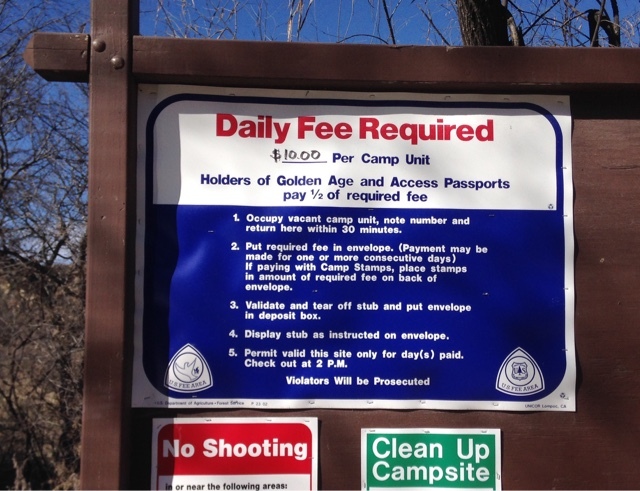 There was a small camping area with self payment in an iron box. I never knew they had such a thing as camp stamps that can be purchased and used to pay for the campsite. 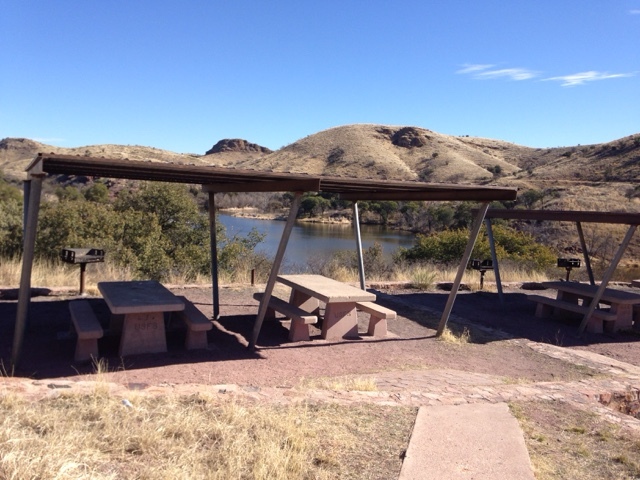 There was a picnic area across from the campground where a Border Control Officer taking an ATV off a trailer. 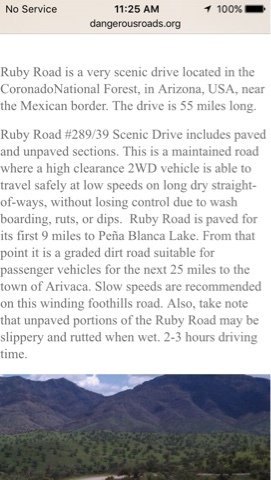 I gather he will be out patrolling as Ruby Road, although scenic, it is only 4 miles north of the Mexican border. 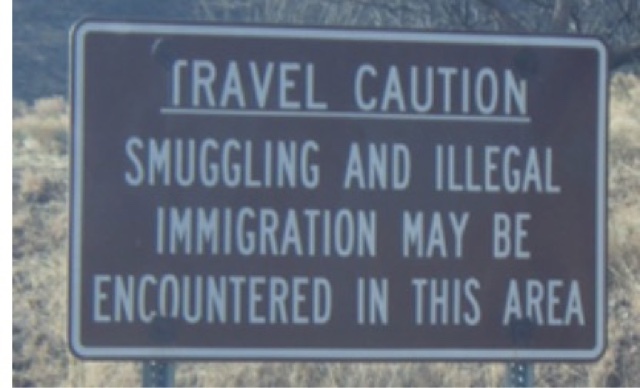 This area is known for beauty and smuggling, drug trafficking and illegal immigration. I stopped to ask the Officer if he knew if the road was good enough for me to get through. He took a long hard look at me in my Prius and said I think so but you are low to the ground. 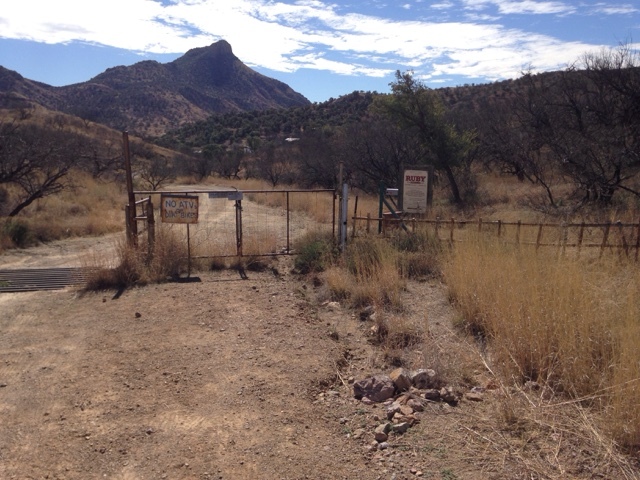 I acknowledged his concern about my vehicle clearance but with no affirmed obstacles I decided to drive the 14 miles to the ghost town of Ruby, AZ and on to Arivaca, AZ at the other end of Ruby Road. 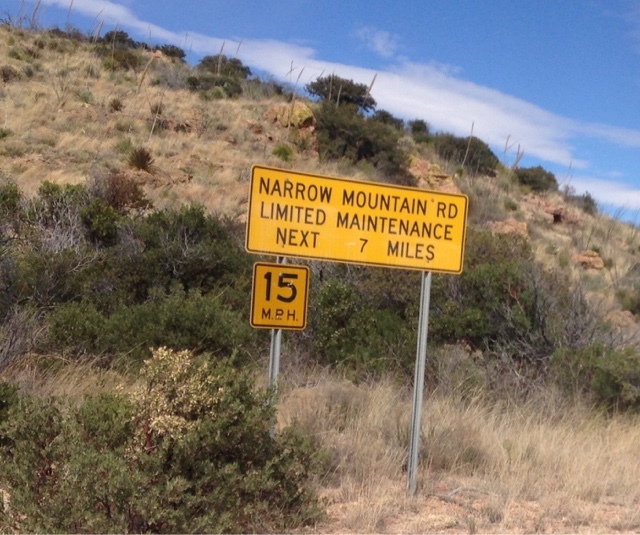 AKA Forest Service Road #39. The road looks great but the sun makes it hard to see the ruts in the road as I get little to no contrast until I am upon the rut. I just needed to go slow. 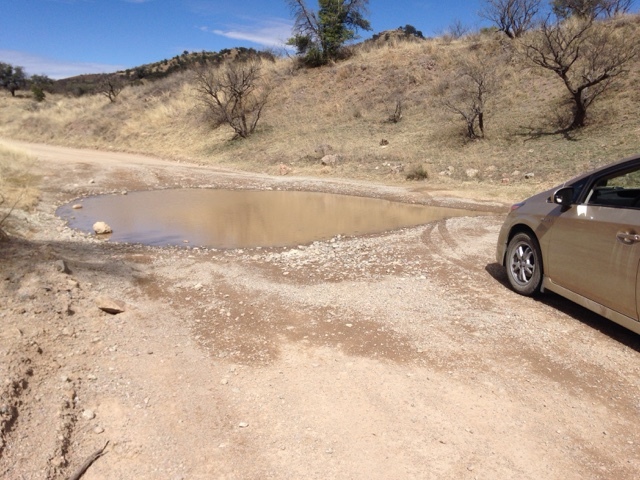 I started climbing hills and although most of the dirt road is good, the ruts from water crossing the road required maneuvering diagonally to avoid bottoming out. There are no guard rails to keep vehicles going off cliffs. What kept me going was the simple beauty of the hills and mountains, along with the adventure. There are very few vehicles on this Forest Service road. I met two. One was a parked Border Control truck with no driver. The other was a truck that passed me as I was too slow/cautious. Don't ask me what I would have done if I broke down. I live out of my Prius and have water and food for 6 days. Disbursed camping appears to be allowed on turnouts along the way. This sign highlights the obvious by this point when I'm halfway to Ruby. After an hour and a half of driving this mountainous road with ruts and no guard rails I was getting hopeful of completing the route. Ruby is down through this cattle gate. 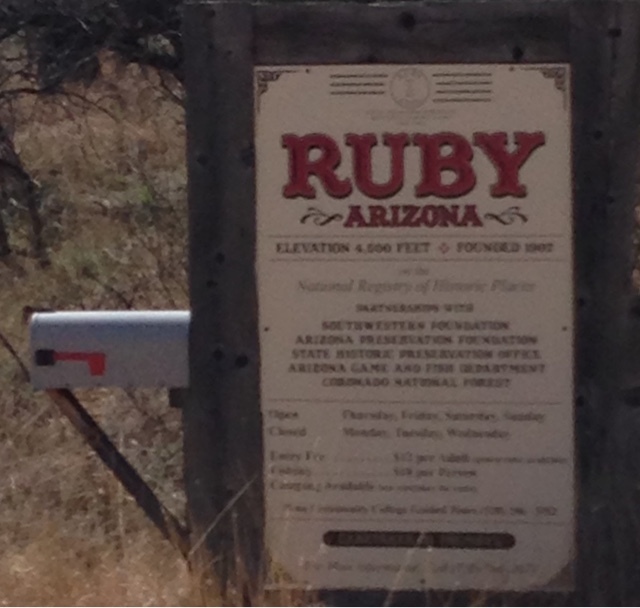 Ruby is a ghost town that is open to visitors and I was going to drive in. But, I couldn't get the Prius over this cattle gate as there is a 4+ inch drop on the downhill side with a big crown in the center. I knew I would drag is I went over so I passed going in and continued my trip on Forest Road #39. When my wheels went 4" down I would rest the center of the car on the crown. That would be a bad situation. 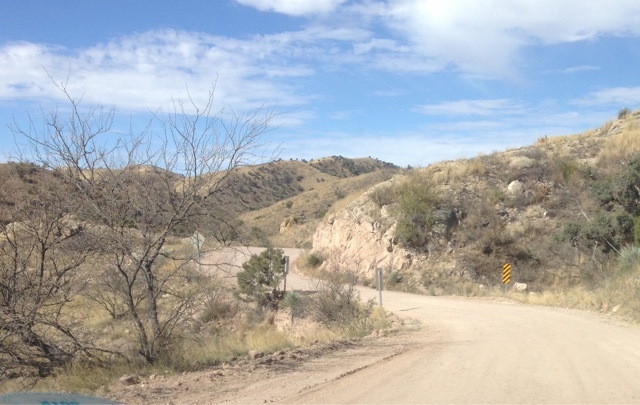 I crossed over a dozen washes along the way most were dry and a couple were wet but I met my match and couldn't cross this one that was about a mile past Ruby on way to Arivaca. This crossing was not a concern to me regarding the water, but the ridges on the side that I tried to get around like others had were raised from someone who dug a trench to help drain the water. As soon as I heard scraping underneath I backed up and found a spot to turn around. I started my drive back the way I got here toward Nogalas. This is open range with lots of cattle guards to cross. 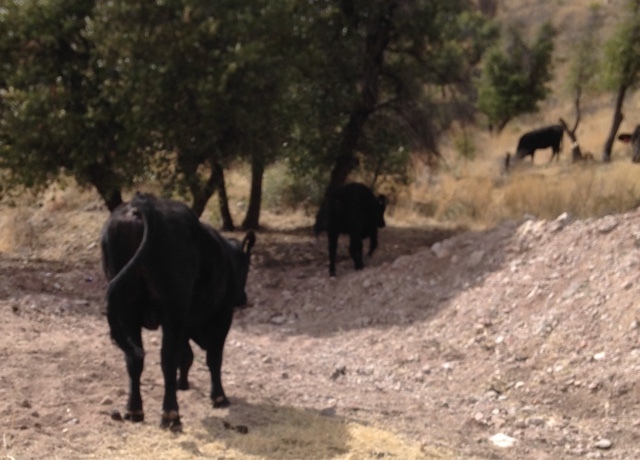 This bull was in the road when I came upon him. We stared at each other for a minute before he gave way to me. It seemed shorter getting back to the Nogalas area. It was a long day of tedious driving though. I have pushed the limits of where to take the Prius and I don't play it too safe. 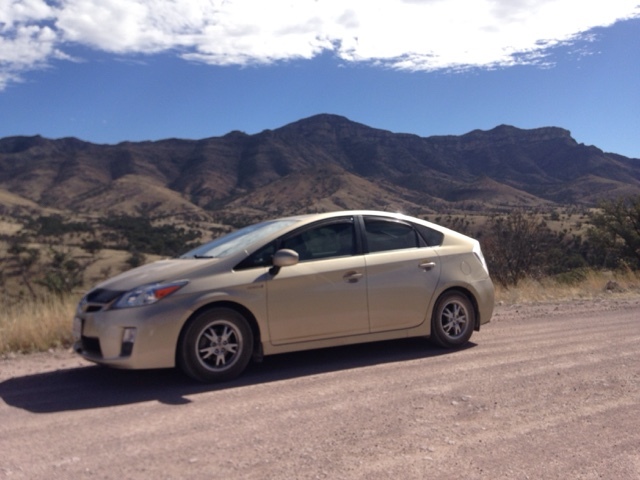 I want the adventure and I have gotten good at estimating the Prius and what it can do. It is places like this one that makes me think of the lightweight pickup camper for my Tacoma. A high clearance vehicle can open up more places to explore.